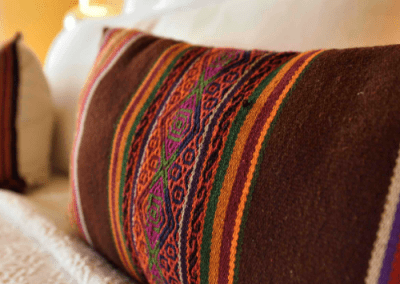 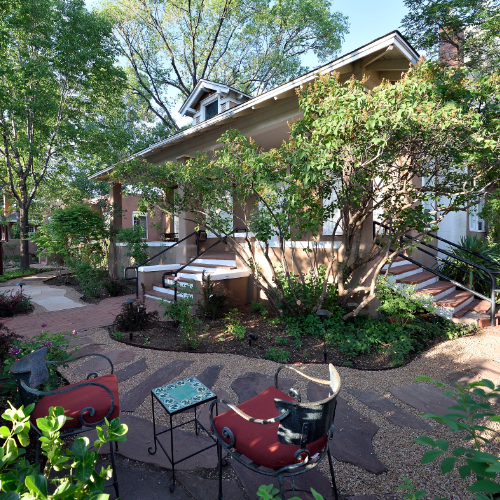 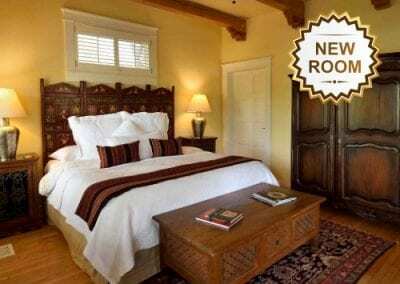 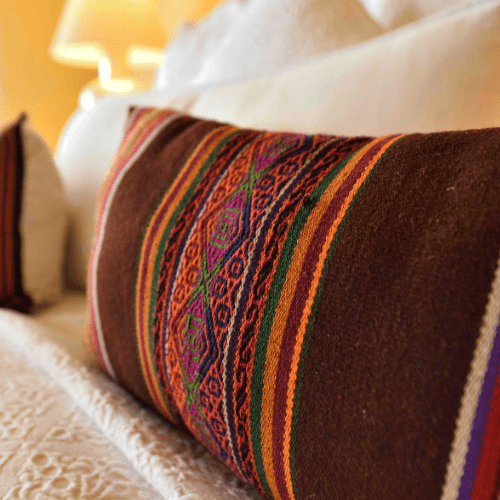 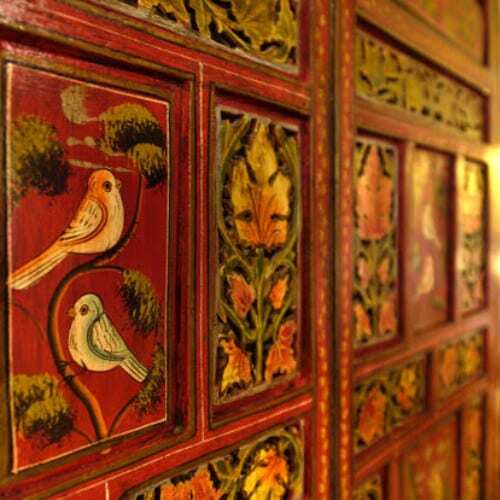 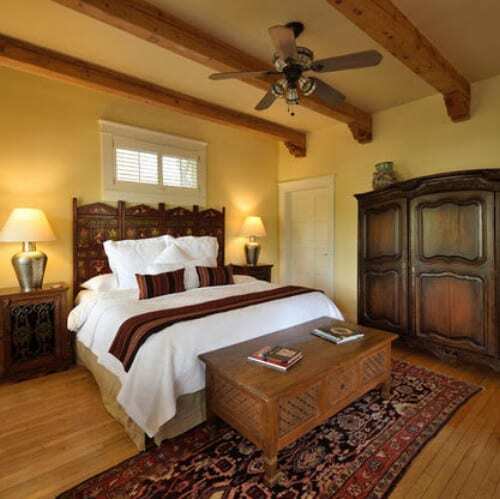 Casa Culinaria – The Gourmet Inn offers great deals for travelers who want luxury and value. 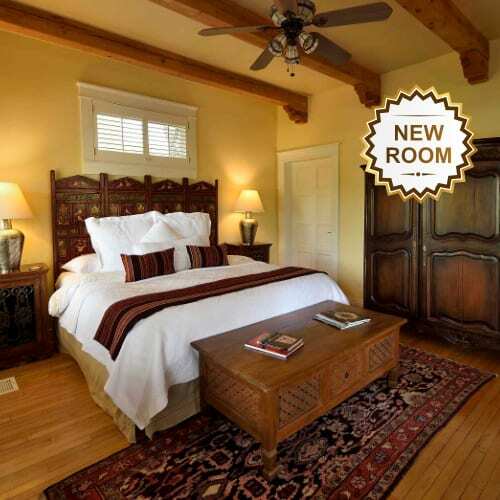 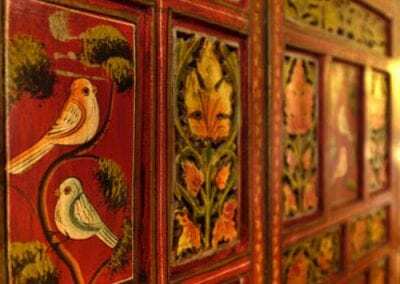 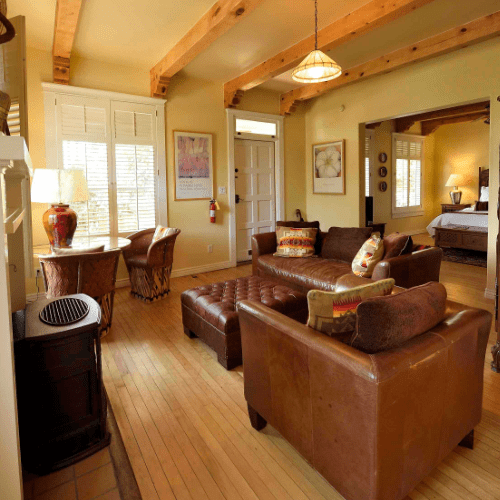 The Territorial Suite at our historic Santa Fe inn is a favorite with guests who enjoy modern amenities, large living spaces, and beautiful architecture. 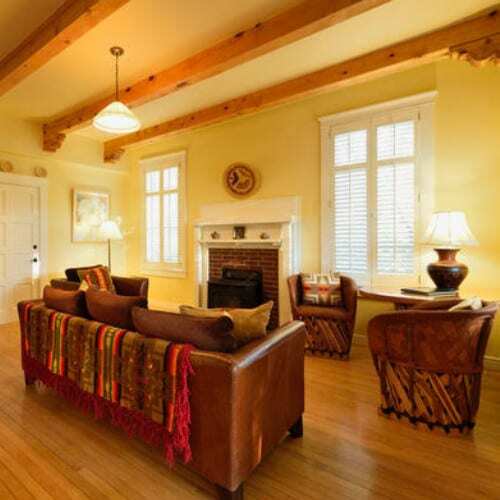 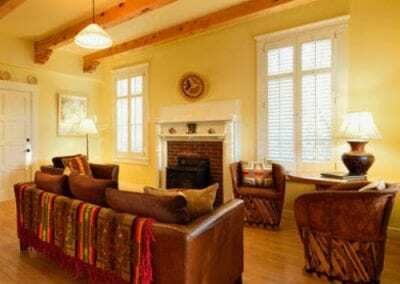 The Territorial Suite is immersed in light and character. 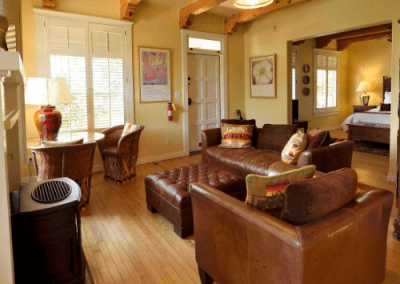 This suite features sunset views, a living room area with gas-burning fireplace, hand-hewn beams, carved corbels, and Navajo rugs on original hardwood floors. 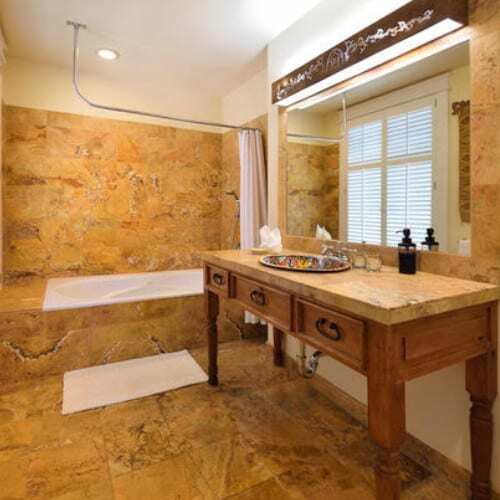 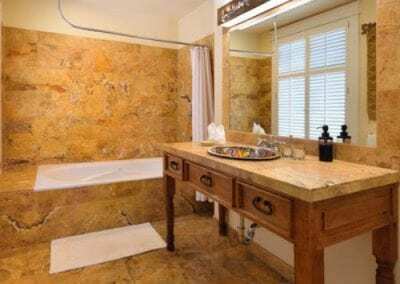 Other suite amenities include a king-size bed, antique armoire closet, and a beautiful Ecuadorian limestone-tiled bath. 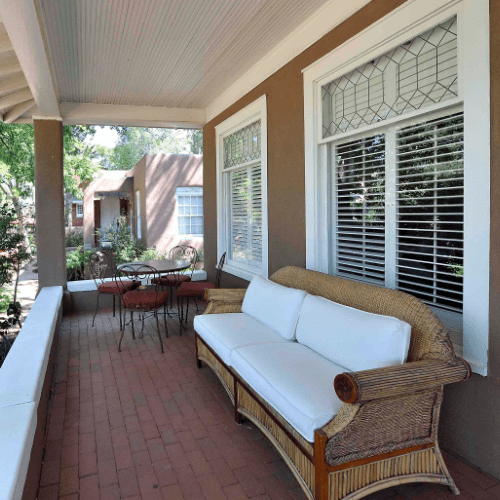 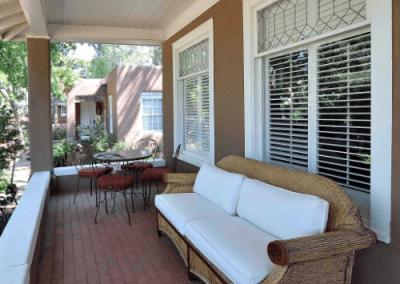 In the summertime, guests enjoy the large private terrace patio.This suite can be connected to the Olive Tree Room for larger parties, which would be perfect for a Santa Fe girlfriend’s getaway. 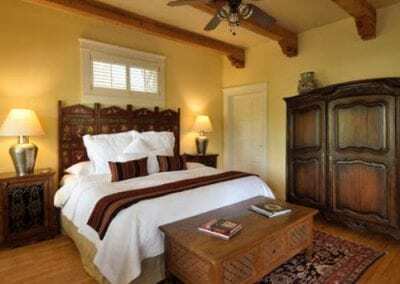 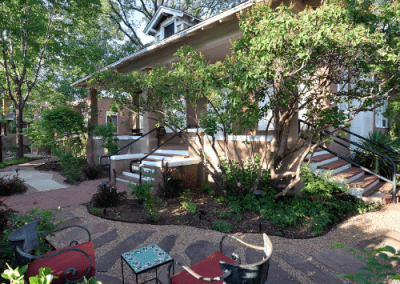 Casa Culinaria – The Gourmet Inn is conveniently located just a short walk from the Plaza, wonderful dining and shopping, and many other local attractions and activities.